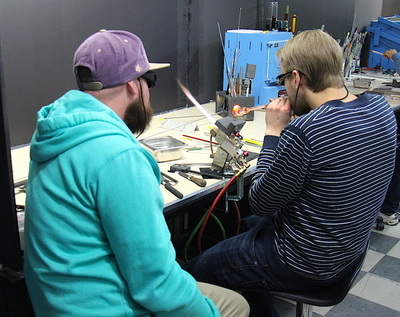 Toronto Flameworking Technologies is a Borosilicate focused Glassblowing studio providing a clean, safe and friendly environment to learn and practice the art of lamp-working. 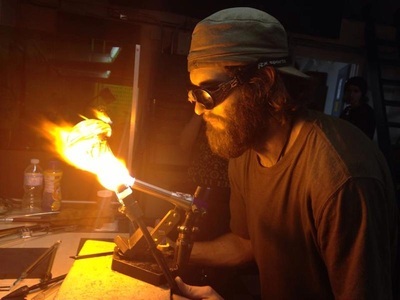 Toronto Flameworking Technologies LTD. is an established glass studio designed as a community environment for artists to share, learn and collaborate with others in making glass art. 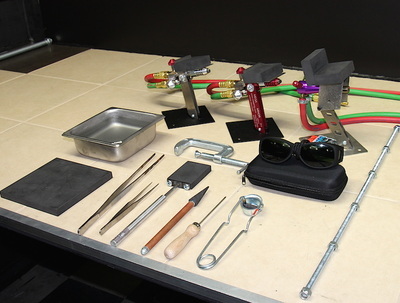 We specialize in borosilicate flameworking lessons, equipment rentals and glass art supplies. Workstations are available for rental by the half-day, full-day or by bulk hours and include a basic tool kit as well as small glass torch (Minor, Mega-Minor, Bobcat or Alpha). Larger torches and more tools are available at flat daily rental rates. We offer classes and demonstrations from Canadian artists who have specific techniques and skills. In addition to supporting the artists in the local community, we will host international artists with unique knowledge and techniques to share. Seven Workbench Areas Measuring 6 ft. x 3 ft.
Stay updated on the latest Toronto Flameworking News & Events. Please check your email for verification email to confirm your address.